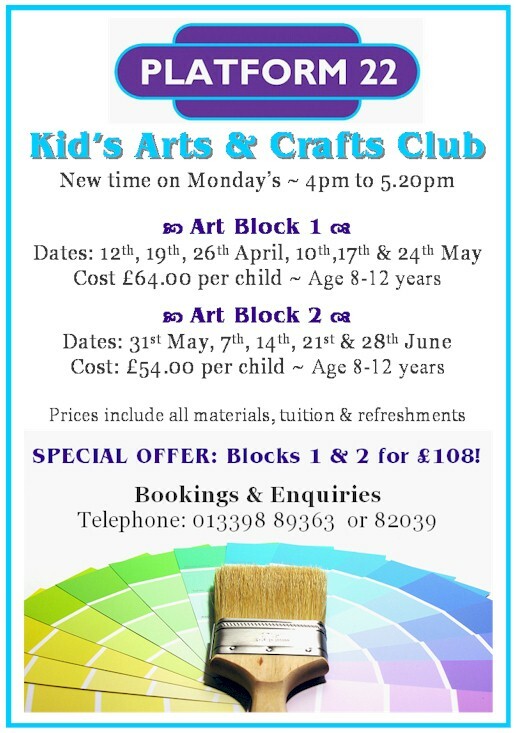 Due to the great success, textile artist Annabel Pattullo will be holding her Kids Art & Craft Club again, for 8 to 12 year olds after school on Mondays at the new time of 4pm to 5:20pm at Platform 22 Gallery. The Summer Term workshop dates start are split into 2 art blocks starting from 12th April (6 week block) and 31st May (5 week block). If you book both blocks Annabel is offering a special reduced price! 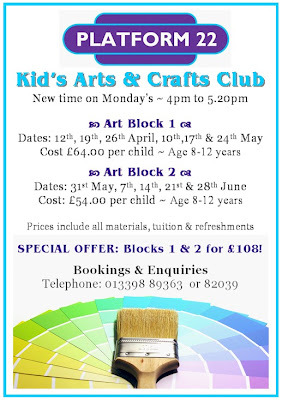 Class prices include all materials, tuition and refreshment, but places are limited, so book now to avoid missing out! NEOS 2010 Call for Artists! North East Open Studios (NEOS) is Scotlands Largest Open Studios event! An award winning, not for profit collective of artists, makers and galleries in the North East of Scotland who open their doors to the public yearly. Platform 22 would like to showcase a selection of 3D works for the event in ceramics, glass, wood, textiles and jewelery. In particular we are looking for artisans to exhibit as well as demonstrate their skills. We would like each participant to have their own entry in the NEOS booklet, but this is not essential. Please email Emma at mail@platform22.co.uk as soon as possible if you are interested! NEOS2010 deadline for application is 12th April & the entry fee £99 ~ please visit www.northeastopenstudios.co.uk for more information and to register your application.